Why is my Mac so slow? Is there any effective way to fix it? Read on this iMobie guide to fix Mac/MacBook Air/Pro running slow problem. 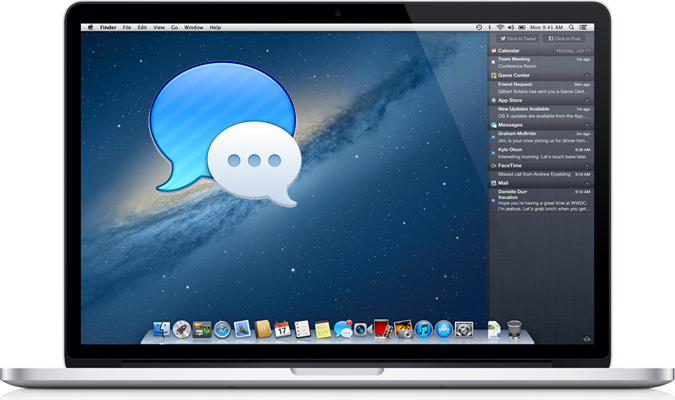 MacClean is capable of optimize your Mac performance and make a slow Mac run faster. Free download it to have a try before we start this tutorial about why is Mac so slow and how to fix it. Q: " Why is my Mac running so slow? I have a MacBook Pro (2011) model. Its old but hardly used, and is slowing down. I am wondering why my Mac is running slow and how can make it run like new?" Macs like all computers, Windows or Vista, can run slower over time. By performing a few simple clean up and maintenance tricks, you can have your slow Mac back running like new in no time. Here in this iMobie guide is by no means a comprehensive list of things that could be slowing down your Mac and how to fix it to speed up your Mac. First of all, go to check and see if you have enough free hard drive space to work with: Click the Apple menu > Select "About This Mac" > Click on the "More Info" button > Choose the "Storage" tab to check the disk storage overview and capacity. Like every Mac user, you might have stored many huge video files, thousands of photos and music tracks on your Mac computer. The popularity of using solid-state drives (SSDs) of Mac computers means considerably less capacity than traditional hard drives. Even an iPhoto library can quickly fill up a MacBook Air's 64GB or 128GB SSD, and nothing slows a Mac than having too much on hard drive. Firstly, find the large media files on your Mac, delete the unused videos, apps, photos, etc. Or you can move all of them to an external hard drive, and remove them from your Mac. Secondly, remember empty your trash cans, say the user account's main trash can and the iPhoto/iMovie/Mail trash can. Thirdly, remove the junk files generated from your web browser, system, or applications. 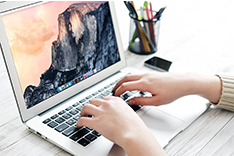 A quick and effective way is using a smart Mac cleaning software, MacClean. It removes junk files from Safari, Chrome, Firefox and Opera all in one place, covering caches, cookies, browsing history, download history and sessions. 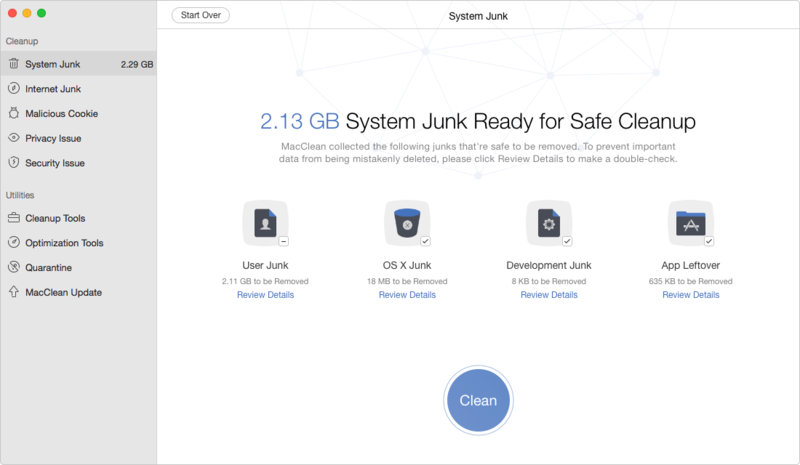 It Clears user junk, system junk, development junk, and app leftover. 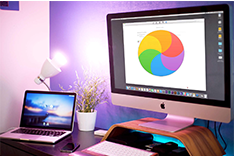 It works for all Macs, including MacBook Pro/Air, iMac, Mac mini, Mac Pro, etc. 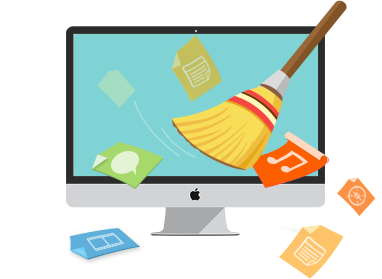 Download MacClean now to free up more space. 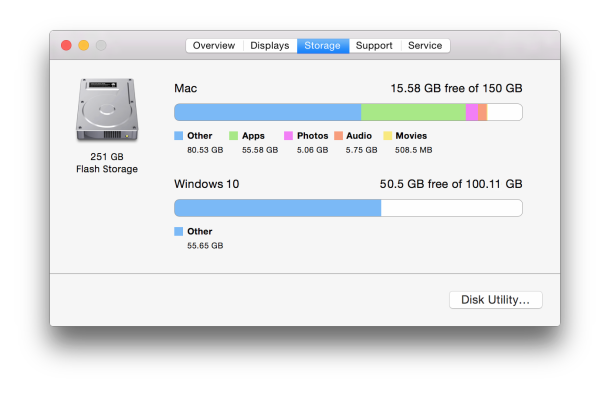 A question from a Mac user: "I have a 27'' iMac (Late 2012, OS X 10.9.2) with 8GB RAM. The usage of memory is always above 7GB, even though I don't think I am running that much stuff. This leads to the occasional hanging of a program and occasional feeling of the computer being lagged." Yes, most Macs ship with between 4GB and 16GB of RAM. If your Mac has only 4GB or 8GB RAM, the system might be running low when launching programs or loading document. 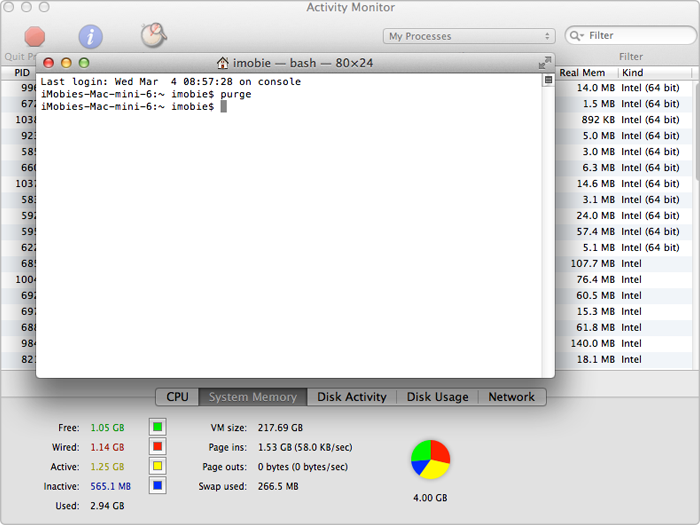 You can check your RAM by using the Activity Monitor application (under Utilities in the Application folder). Click on System Memory tab and have a look at the pie chart at the bottom. If the chart is largely red or orange which means you are running out of RAM. Step 1. Open up Terminal: ~/Applications/Utilities. Step 2. Enter the command: Purge, and tap the enter tab. Step 3. Give your Mac a minute or two to complete the process. Open up Activity Monitor to see the before and after results, you'll find the Free size increases in System Memory. 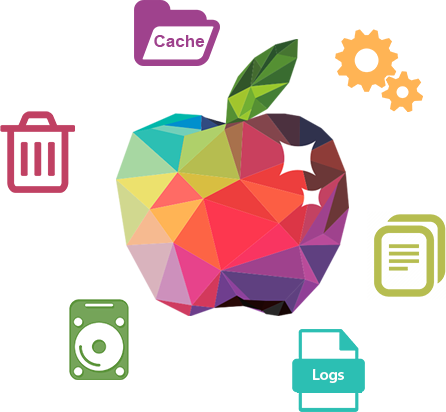 Login items are a bunch of services and applications that should launch every time you start up your Mac. When you turn on your Mac, you may notice the process taking longer and longer over time. One of the reasons might be that you've allowed two many items to creep into the system over time. Kill the unneeded login items. Step 1. 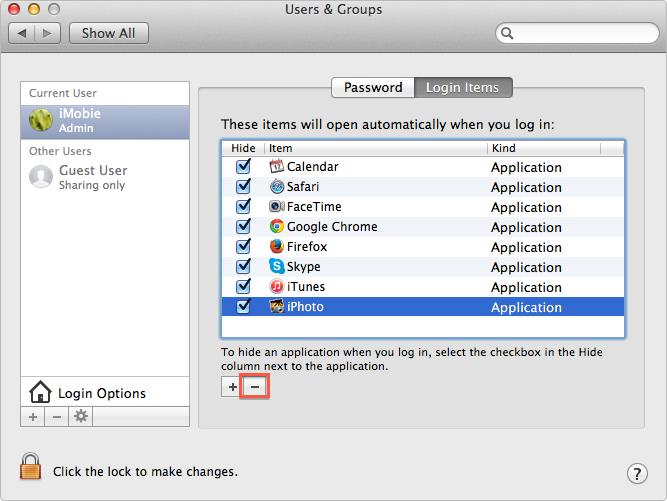 Open up System Preferences, and click the Users & Groups. Step 2. Click the Login Items tab, and you'll see a list of apps that open every time you turn on Mac. Step 3. Select the login items you want to kill, and click the "-" button to remove them. Every document file on your desktop requires memory to store. If you keep too much items on your desktop, this can slow down your Mac speed too some extent. 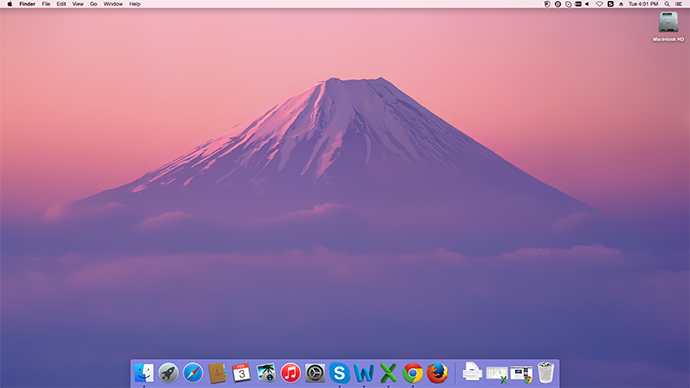 Accordingly, keeping a relatively clear desktop helps to ensure your Mac good performance where it should be. Clean up your desktop is a really easy job. First of all, delete the files you don't need any more, and empty the Trash. Classified the files on your mac, and move them to some folders. Name the folder so that you can easily find the one you need.